Your Insurance company protects its interests. You should be protected too; be represented by a Public Adjuster. Who is Daniel P. Wixted Public Adjuster​? When you call my office, you will speak directly to me each time you call. I offer personalized service and do not employ a call bank that fields telephone calls and directs the calls to sales representatives, solicitors or voicemail. I have over 33 years of experience in the insurance industry and am licensed and bonded by the New Jersey Department of Banking and Insurance and the Pennsylvania Insurance Department. The knowledge I've acquired over 33 years uniquely qualifies me as a Public Adjuster. Like any trade or profession, it takes many years of training, education and work experience to become a Certified Expert. I have over 33 years of on the job experience not only representing policyholders but, as a former Insurance Company Claim Manager, I represented hundreds of Insurance Companies and negotiated settlements with many Public Adjusters and Attorneys. As a former "Insider" I understand Insurance Company claim office operations and how Insurance Companies take every opportunity to delay, deny and defend payment of your claim. With my expertise, I am able to overcome these obstacles and present a proactive approach in the preparation, presentation, and adjustment of your claim. I will not let your claim be delayed or unjustly denied. I have many satisfied clients willing to provide positive testimonials of my exceptional service and outstanding results. I understand your Insurance Company is my adversary and I will aggressively fight to get the best result for you. In fact, many Insurance Company Claim Adjusters know me and they understand that I am an unyielding adversary who will not abandon my convictions and accept an unreasonable offer. I can assure you of this, without Public Adjuster representation you will not be treated the same by your Insurance Company as I would be. It's no different than representing yourself in court without a lawyer. Do your homework before you hire a Public Adjuster​​. There are many Public Adjusters advertising their services on the internet and claiming they can maximize your claim settlement at no cost to you. 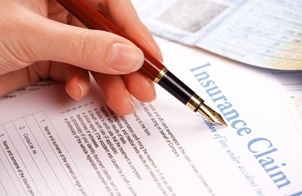 What you don’t realize is, there is a hidden cost and that is a reduced claim settlement. ​I regularly receive telephone calls from people who hired unqualified, unscrupulous or incompetent Public Adjusters and have become dissatisfied. Don't make this same mistake. These Public Adjuster firms over-promise and under-deliver. They lack the experience, knowledge and expertise to counter the Insurance Company and demand and obtain a higher claim settlement. If you closely review many of their websites, you’ll see very few Public Adjuster's post information about their license, related work experience or customer reviews. ​​​Obtaining a passing grade on the Public Adjuster test and obtaining a license does not qualify you as an expert. There is no substitute for actually doing the work and obtaining knowledge and experience that can only be learned on the job.